After the survey in 2015, I traveled to various installations as the 2015 AFI Military Spouse of the Year. 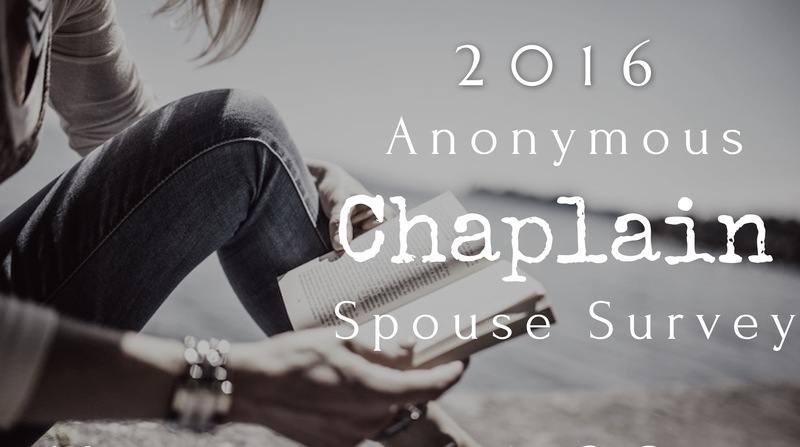 I led Chaplains Spouse Roundtables, discussed the results of the survey, and talked with many of our most senior spouses. I found that discussions in safe circles validated much of the results in the 2015 pilot survey. I also found that processing both the burdens and joys of this lifestyle freed many up to continue in their ministry. The 2016 survey used the 2015 pilot as a foundation as well as new questions aimed to find areas of need and improvement. Once completed, a Board of military spouses was brought together to help interpret the results of the survey and offer recommendations. The Board consisted of spouses that have 5-35 years of military experience, vary in service branches, and also included another clinician and clinical researcher. Variety of experience and expertise offered as much non-biased recommendations as possible. It is my intent and hope that the results of this survey will be used to develop ministry or resources to support the chaplain community. Based on the survey results and discussions with the Board, our community is resilient but in need of far more support.